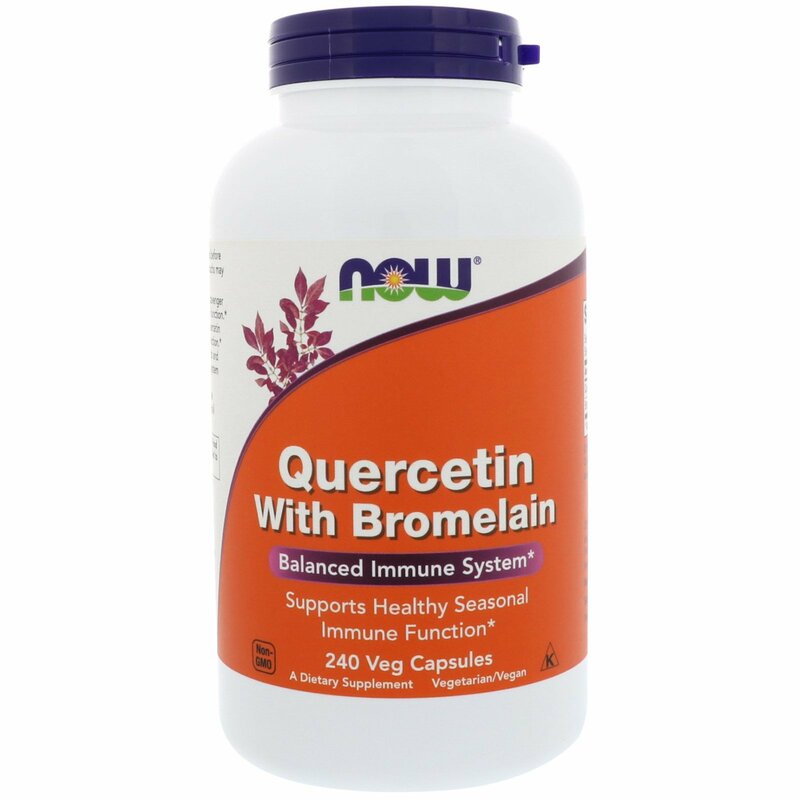 Quercetin is a naturally occurring free radical scavenger that supports healthy seasonal immune system function. 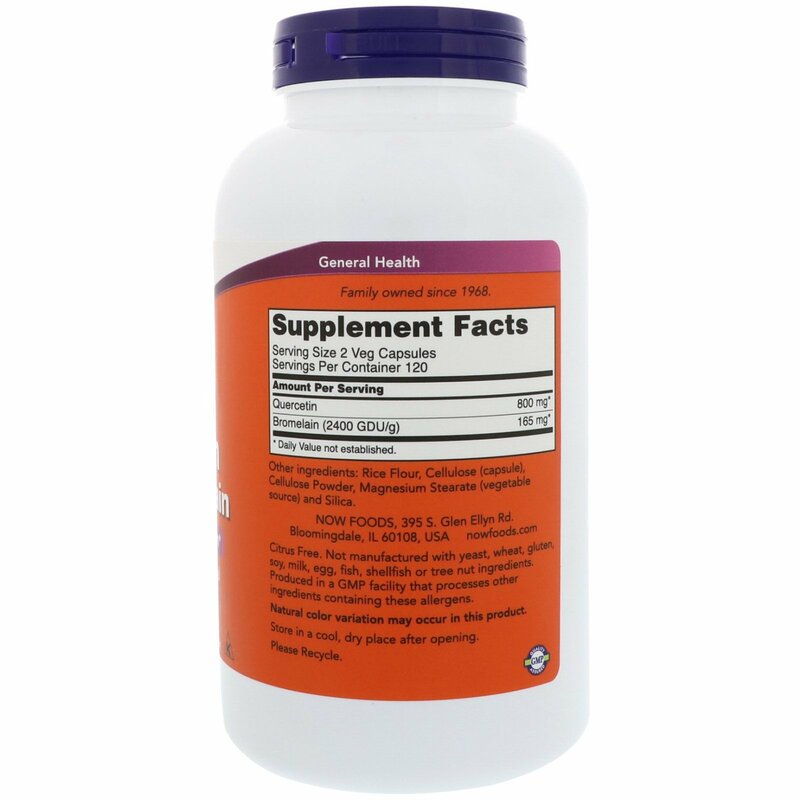 Laboratory studies have demonstrated that Quercetin can also help to promote normal respiratory function. Bromelain has a long history of use by herbalists and is known to help support a balanced immune system response to environmental challenges. This complementary combination may thus promote year-round respiratory health and support overall seasonal comfort. 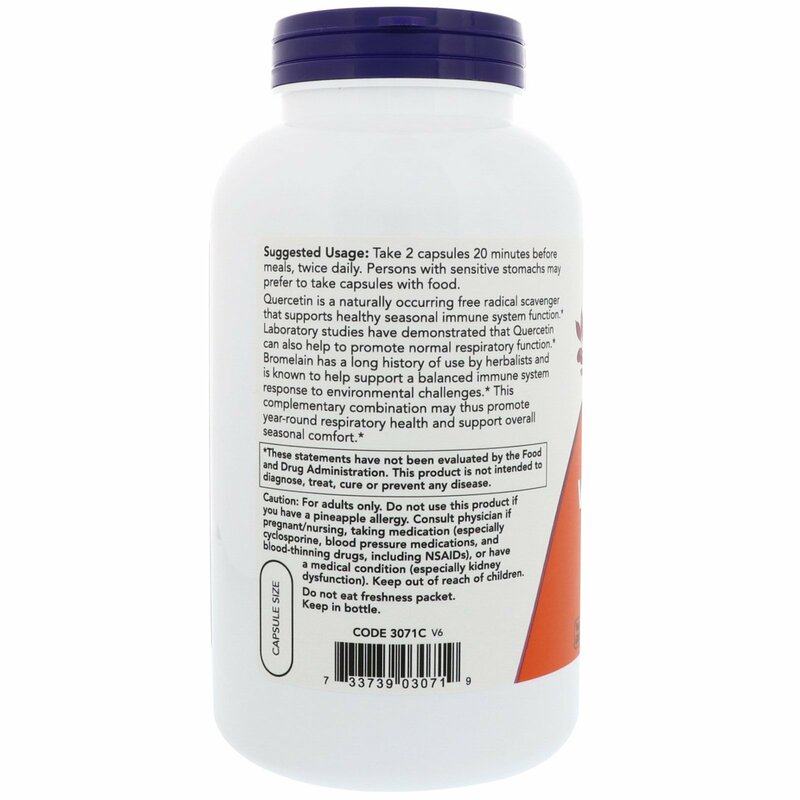 Take 2 capsules 20 minutes before meals, twice daily. Persons with sensitive stomachs may prefer to take capsules with food. Caution: For adults only. Do not use this product if you have a pineapple allergy. Consult physician if pregnant/nursing, taking medication (especially cyclosporine, blood pressure medications, and blood-thinning drugs, including NSAIDs), or have a medical condition (especially kidney dysfunction). Keep out of reach of children.